Dr. Karl Englund combines experience from the academic and commercial sectors of the natural fiber utilization field. 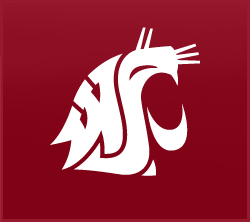 The Washington State University faculty member and extension specialist specializes in the processing and product performance of natural fiber-based composites. Dr. Englund has worked with more than 100 companies in various capacities, from technical consulting to assisting with research and development projects. His research efforts also include co-products from bioenergy processes and use of recycled materials. Before coming to WSU, Dr. Englund also worked as a research assistant at West Virginia University in Morgantown and as plant technical director/quality control supervisor for Trus Joist MacMillan (now Weyerhaeuser) in Colbert, Georgia.